Any Baguio old-timer would know Town's Pizza: those small, unassuming roadside stands that sell cheap but yummy pizza! 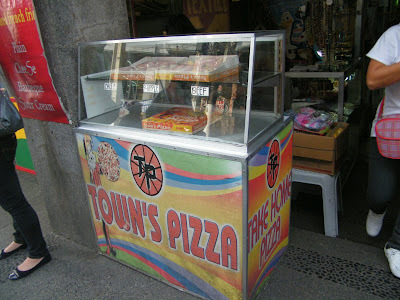 Town's Pizza has been in Baguio as far back as I remember and their pizzas are value for money. 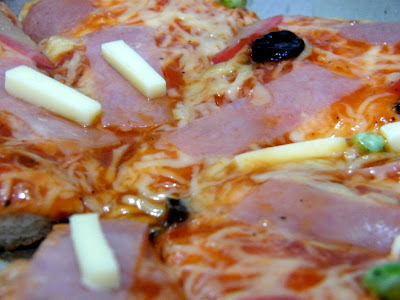 In fact, there was a time when I actually prefer their pizza over the fastfood chain variety, and when we grabbed one again last December, I found that I do still like their pizza! 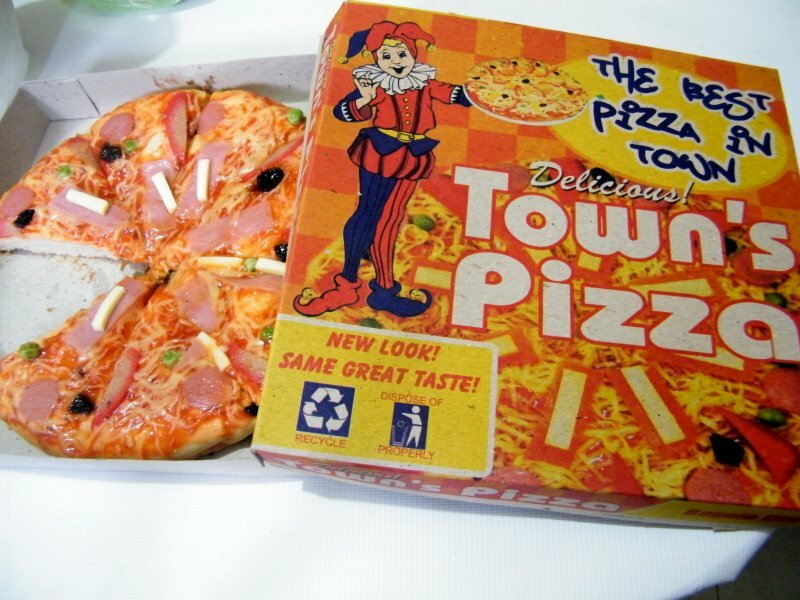 The pizzas are sold at roadside stands, just the way I remember them when I was a kid. Don't ask what decade that was. 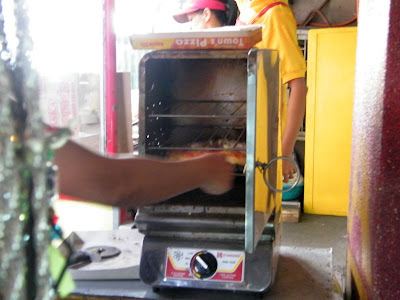 And like the Town's Pizza of yesteryears, the pizza is cooked in a small stove-top oven. 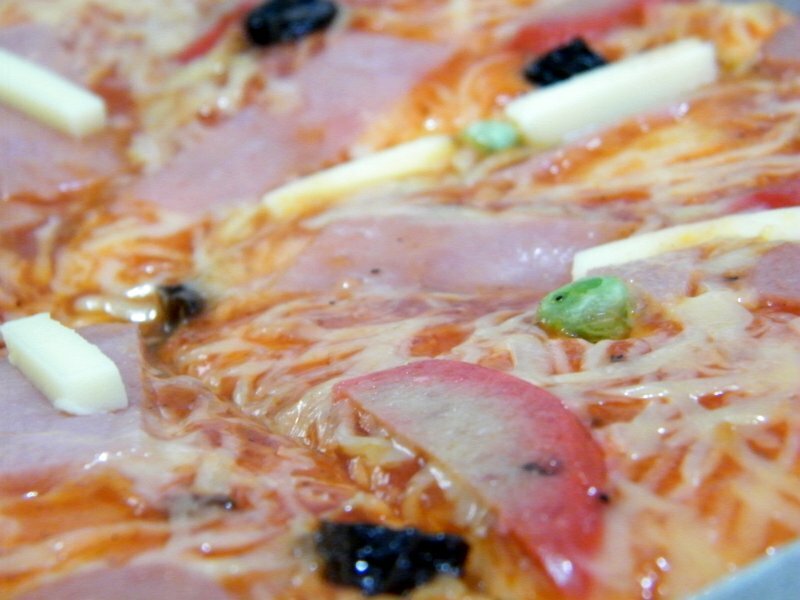 I just left for a few minutes to get the camera but when I came back, a slice had already found its way to a tummy!